At Boss’s Cabin we understand the changing landscape of workspaces. The importance of open space that encourages collaboration are paramount. They can not only help improve employee’s productivity and morale but also have the advantage of reducing costs in both space and energy consumption. We recognize that supporting emerging technologies are essential to solve complex business problems and stimulate innovation while using collaborative spaces. They make workplace open and transparent which promotes interaction and collaboration. They have minimal visual barriers. Colleagues have easy access to work together and socialize together which is an essential ingredient in building trust and teamwork. These desks can help build a strong sense of belonging and be a part of culture and work community. Also known as Sit & Stand desks are becoming more popular in modern office design and it is not only because of the ergonomic benefits they provide. The Standup desks also significantly reduce the overall footprint in the office and is inherent in its design. It encourages collaboration and communication within office space, providing staff with greater mobility and improved productivity. With the workstation of the 21st century, it is important to take into account the levels of mobility and collaboration required by the employees and adjust the solution accordingly. 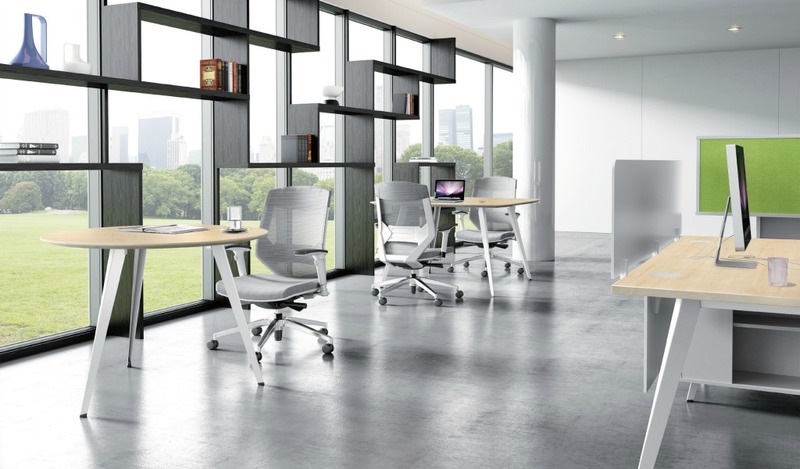 Designed to not only look sleek and modern but also openly encourage collaboration through shared desk space. Also provides privacy and storage when and where needed. Promoting a sense of belonging is essential to improve employee morale and overall productivity at work. Nothing increases morale better than a design where hierarchy is not inherent in the design. In open plan office, they not only increase productivity, but also helps reduce clutter. It gives a professional touch to reflect your brand with appropriate storage and minimal privacy screening. In addition, the design of the meeting rooms and tables openly encourage collaboration amongst staff, an essential ingredient in the business world today. Get that Modern, funky & sleek look today. 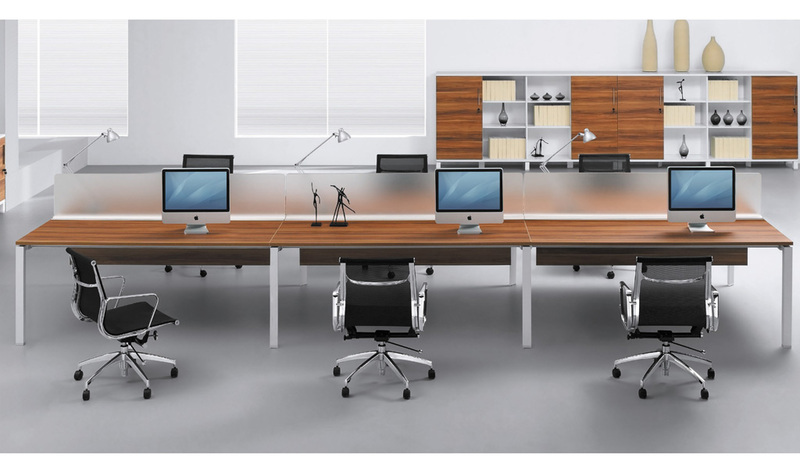 Discover our range of workstations.